SUTHERLAND is a neighborhood in Prospect, located in Jefferson County. This is a relatively new subdivision of luxury homes located in the zip code 40059. You will find that these are custom built homes as dictated by the price range. The Louisville MLS shows this as MLS area 9. These luxury homes sell in the 500’s and up for a total living area of 4,000 square feet and up. The Hollinden Team updates this search for Sutherland homes on a daily basis from the Prospect MLS. Feel free to use the Advance Search Tools of our Louisville MLS to find other homes for sale. Prospect has its own charm and the shopping here reflects that. The Prospect post office is right in town. The Gene Snyder Freeway is just down the road and I-71 is the first exit that will take you to downtown Louisville. The Summit Plaza and Costo are close by accessed from the Gene Snyder. Golfers will love this area as it is a golfer’s paradise. Hunting Creek Country Club and Glen Oaks Country Club are just a couple of miles away. 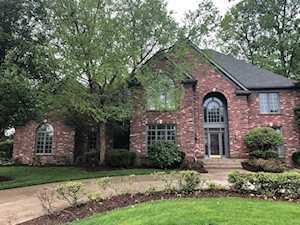 If you would like to learn more or have any questions about any of these Sutherland houses for sale, or other homes for sale in Louisville KY, just click the "Request More Information" button on any property detail page. The Hollinden Team can provide you with past sale information, comparables, disclosures, PVA assessment, and tax information – we would love to answer any real estate questions you have. You can reach Real Estate Agent Tim Hollinden at 502-429-3866 for more information on these houses for sale in Sutherland Estates.